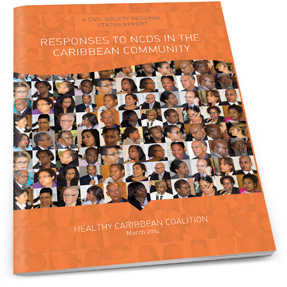 A Civil Society Regional Status Report: Responses to NCDs in the Caribbean Community - Release of Full Report and Country Profiles - The HCC is pleased to release the full report: A Civil Society Regional Status Report: Responses to NCDs in the Caribbean Community and target Country Profiles. This report is one of the major outputs of the NCD Alliance’s programme, ‘Strengthening Health Systems, Supporting NCD Action’ which aims to support and strengthen civil society NCD advocacy efforts in Brazil, South Africa and the Caribbean Community (CARICOM). The Healthy Caribbean Coalition (HCC) is the “National Implementing Partner” for the Caribbean in the implementation of this project funded by Medtronic Philanthropy. The purpose of this report is to understand and assess the Caribbean response to non-communicable diseases (NCDs), from a civil society perspective. The findings and the emerging call to action will serve as an evidence-base, and platform, from which a more empowered civil society can better influence and complement regional and national NCD policies and programmes. This document represents an important regional resource which can be used by national governments and regional entities as an evidence base for priority NCD policy and programming and as a roadmap for civil society organisations in the Caribbean to develop targeted NCD advocacy campaigns. Click here for the NCD Alliance Project page where you can download the pdf of the full report, the Executive Summary and the 9 country profiles. PAHO NCD Review 2014 - PAHO would like to request civil society organistaions' assistance in coordination and convening country efforts in preparation for the Comprehensive Review and Assessment of the Progress Achieved in the Prevention and Control of Noncommunicable Diseases, NCDs (NCD Review 2014), scheduled to take place at the UN General assembly in New York City, on 10-11 July 2014. You may recall that paragraph 65 of the UN Political Declaration on NCDs 2011 (UNHLM) requests the Secretary General, in collaboration with Member States and the World Health Organization (WHO), and other agencies of the UN system, to present during its 68th Session, a report on the progress of the commitments made in the Declaration, in preparation for a comprehensive review and assessment in 2014 of the progress achieved in the prevention and control of NCDs. We will be following up directly with our members for input. If you have specific comments or questions please reply to this email. In its efforts to prevent and control Chronic Non Communicable Diseases (CNCDs) the Ministry of Health has embarked on several initiatives. One such initiative is hosting of monthly mass aerobics in the city of Roseau, which commenced in February 2014.This is spearheaded by the Health Promotion Unit, using a multi- sectorial approach. Chronic Non Communicable Diseases are the leading cause of deaths and illnesses in Dominica. These diseases are influenced by life style practices to include Inactivity and unhealthy food choices. See photos here and video here. 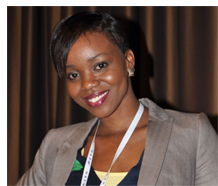 Civil Society Organisations engaged with are as follows: Health NGOs e.g Diabetes Association, Council on Ageing, Pharmaceutical companies, Male Oriented Groups, Corporate Communication Companies, Corporate Business Organisations, Non Health Public Sector.